Self-driving shuttles will be trialled at a large residential area in northern Vietnam, making it first to use such buses for local residents in the country. 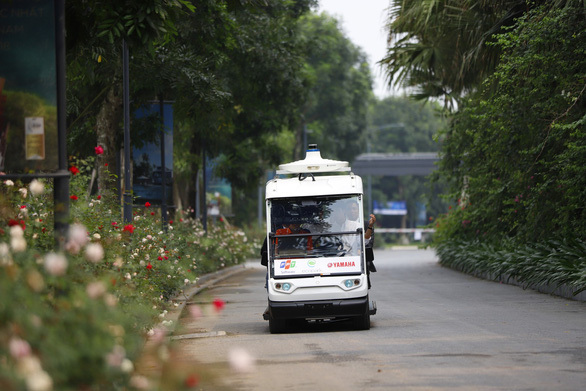 The developer of Ecopark Township, Vietnamese Vihajico, signed an agreement on Thursday with local FPT Software and Japan’s Yamaha on piloting self-driving shuttles to transport dwellers in the residential area. 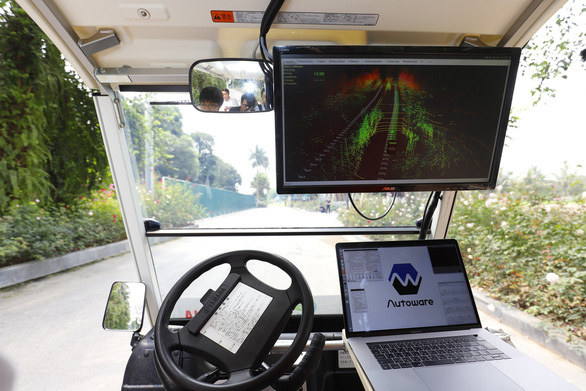 Yamaha-made shuttles equipped with self-driving technology developed by FPT Software will be deployed for inner commutes at Ecopark, located in Hung Yen Province. In the first phase, the shuttle buses will be installed with such functions as pre-programmed driving, stopping at fixed obstacles, and automatically returning to departure points at the end of a journey. In the fourth quarter of this year, more advanced features will be added, such as identification, vehicle avoidance, speed reduction activated when there are obstacles ahead, automated passenger pick-ups and drop-offs, and returning to parking at the end of a journey or when there are no passengers. Users will also be able to book rides with apps on their smartphones. “Vietnam is one of the three countries in Southeast Asia, the others being Malaysia and Singapore, pioneering in self-driving technology,” Hoang Ha, director of the science and technology department under the Ministry of Transport, said. The first sod was turned at Ecopark in 2009. The first residents moved in the township, considered the biggest in northern Vietnam, in 2012. Covering around 500ha, the township will continue to be developed until 2029, with a total of nine stages scheduled for construction. Lying southeast of Hanoi, the massive residential area is only a 30-minute drive to the capital city.